PA official blasts ICC for procrastinating in probing alleged Israeli "war crimes" in Gaza. Officials in the Palestinian Authority (PA) are disappointed in a visit by a delegation from the International Criminal Court (ICC) because it did not include a stop in Gaza. Mustafa Barghouti, a member of the PA parliament who heads the Palestine National Initiative, on Sunday accused the ICC of procrastination, telling Hamas’s Palestine newspaper that the delegation’s visit to Israel and the PA-assigned areas of Judea and Samaria was “throwing dust in our eyes”. He cited three main reasons for his anger at the ICC: The fact that the delegation did not visit Gaza, that they did not come to collect evidence from Gazans, and that they operated under the “dictates” of the Israeli government. “We’re tired of waiting. The decision of the Supreme National Committee must be implemented and we must appeal to the Court rather than continue to wait for the so-called initial examination,” said Barghouti, who called for a formal lawsuit against Israel to the ICC. The PA officially joined the ICC on April 1, 2015, and immediately filed a series of legal complaints with the court. In addition to claiming that Israel committed war crimes during the 2014 Gaza war, it also claimed that Israeli “settlements” are “an ongoing war crime”. At the request of the PA, the office of the ICC chief prosecutor opened an initial probe into alleged war crimes by both sides during the July-August 2014 conflict. 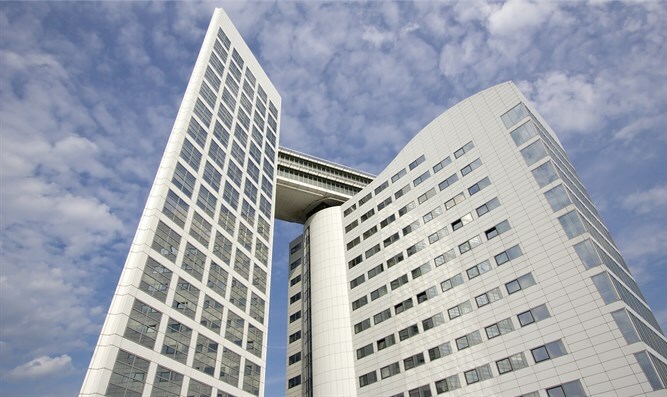 Last week’s visit, the first to the region by officials from the prosecutor's office at the ICC since the 2014 Operation Protective Edge, did not include Gaza and officials stressed it was not linked to the preliminary investigation into the 2014 war. An ICC official stressed last week that the court has no deadline for deciding whether to investigate alleged war crimes by Israel and Palestinian Arabs. Israel vehemently opposes any ICC investigation, but officials have said they will cooperate with the body to convince it of the competence of the state's own courts.